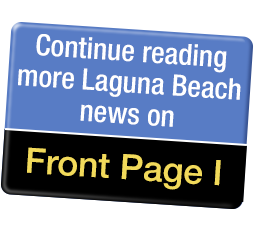 There has been an uneasy balance in Laguna Beach politics for many years, between those who want little or slow change and those that see profit in change. Laguna Beach is my hometown and I am quite clear that change occurs here. That cannot be helped, change will occur. I have watched local changes for over fifty years. I recall cattle in the canyon grazing along the old canyon road, that are no longer. I remember nearby orange groves and strawberry fields where tens of thousands of people now live. I watched local Laguna Beach neighborhoods fill in with houses and paths and shortcuts be fenced off and closed to public access, as the last lots were developed. I witnessed wild animals, birds and sea life become less common. I’ve experienced once illegal hiking trails (the Moulton and Irvine Ranches both discouraged trespassing when I was younger), now part of beautiful parklands for all, become so popular with bike riders, that some have become hazardous to hikers and walkers. Due to map apps, some of our neighborhoods have become racetracks for visitors and locals alike. And still, Laguna was and is, a beautiful place. One thing that hasn’t changed over all these 50 years is that some folks prefer the sense of small town qualities that Laguna Beach possesses. And, some see opportunity for profit, through change and redevelopment. We live in a county that today is home to three million people, more than inhabit about twenty individual states. ‘How can Laguna remain so backward?’ or ‘It could be so much more’, some feel. In such a highly populated county, it is just this nearly 100-year old city’s unique antique-ness that is so refreshing and beloved by millions and some residents alike. It is a refuge from the sameness of the big box world that many of us travel on a daily basis. Quaint and old fashioned are not a popular thing to be these days, it seems. It’s almost a pejorative, something to be discarded and replaced, perhaps. There is certainly plenty of money to be made by razing structures and starting from scratch. I have spent my adult life in the construction industry and understand firsthand the need to repair and replace aging structures and systems. My lack of enthusiasm in building new parking structures and enlarging hotels, ideas espoused by “Liberate Laguna”, is because I feel residents’ interests, as opposed to commercial and visitor’s interests, often seem to be given short shrift. Building more parking structures at the very time when we are beginning to think differently about modes of transportation, is, in my opinion extremely short sighted. What about repairing our aging water and sewage systems? What about the additional impact to our roads from even more visitors! What about the years of construction these visions will require to come to fruition? And will residents, visitors or business owners benefit? Laguna Beach is an amazing and a beautiful place. Hard won local efforts have preserved its ocean environment and an immense greenbelt, thanks to visionaries from Laguna’s past. Many adoring visitors have made this town a favorite place for multiple generations and long-term families have enjoyed their hometown for years. The idea of stewardship of the environment, preserving our inheritance for future generations compels me to express my opinion to preserve the best of the historical built areas of our community as well. As individuals, we are all here for such a short time, our efforts should be more than self-serving and profit motivated. We have a responsibility to those who will follow us. Like a lot of folks, I have been disappointed in the half-truths, bullying and lies that have taken the place of public discourse and debate across America. We can be better than that. I feel that while I cannot personally influence national politics, beyond casting my ballot, perhaps I can make a difference locally. In this town so much is possible. We can truly have it all! A modern small city nestled in its surrounding beauty that caters to visitors and respects residents and its shared history. We have built in popularity that can float our businesses without “going big” in our commercial districts. I support slow, thoughtful changes in our town, but not the notions of “Liberate Laguna”. And, thank you Shaena Stabler for the name correction.